Have you got my back? US stocks were sharply lower as markets repriced after Donald Trump promised to enact substantial tariffs on the steel industry which ushered a strong response from the manufacturing industry group and the European Commission. The S&P 500, Dow Jones and Nasdaq sank 1.33%, 1.68% and 1.27% respectively. Tariffs that impact global trade have always been bad policy. The Institute for Supply in the US labelled the proposal a “big mistake.” European Commission President Jean-Claude Juncker said Europe will respond “firmly” to any new tariffs, while Trump ally and newly appointed Federal Reserve Chairman Jerome Powell, earlier praised the benefits of trade. However, pushing all of this to one side, we can make the following observations. The Trump Administration strives to deliver into what it has laid out as its mandate. This was all flagged to the “rust belt” during the election. Rightly or wrongly – many politicians lie to get elected and fail to deliver on what they have promised. Trump has remained consistently true to what he has promised and he is definitively pro-business. Wall Street is about to get enamoured with that. Aside from Trump’s tariffs, the markets have generally reacted favourably to Trump’s policies. What I see for Wall Street laying ahead (despite today’s negative reaction) is a big tick for consistency. Politicians enacting on what they lay out in terms of election promises is something of a rarity in modern day politics and more often than not, a promise is seen as a sacrificial lamb once office has been secured. I believe US “Big Business and the corporate sector” will ultimately see Donald as having “their back” after today and this will further boost sentiment on Wall Street one the dust settles – despite the fact that the tariff policy is totally flawed. The market reaction was mixed with industrial companies in the benchmark equity index tumbling such as USX (US Steel) which lost 7% but steel-products company Nucor gaining 3.3%, while automakers such as Ford and GM, led decliners where the higher cost of steel will raise the cost of manufacturing in the US. The Russell 2000 Index posted the smallest loss among major indexes as the bulk of constituents derive the majority of sales in the US. The tariff announcement from the White House pushed volatility sharply higher with the VIX climbing 13% back above 22. The DXY gained slightly after earlier losses while the yield on the 10-year T Bond slid to 2.8%. Last month stocks and bonds declined in unison as fears of higher interest rates caused markets to recalibrate risk. The reverse was true on Thursday as a “risk on” scenario was priced into the US economy. I think this will be fleeting though, and if anything provide a “consistency dividend” for the White House because Wall Street will now start to believe in the policy agenda which is pro-business. European stocks were again in the red on Thursday after mixed trading updates and caution ahead of Fed Chairman Jerome Powell’s second testimony in front of congress and key political votes in Italy and Germany. Shares of travel technology company Amadeus IT Group slipped 3.4% after reporting 2017 results Wednesday. Revenue increased 8.5% to €4,852.7 million and EBITDA grew 9.7% to €1,865.1 million. In the distribution segment, total travel agency air bookings expanded 6.3% to 568.4 million and in IT Solutions, passengers boarded rose 19.8% to 1,656.5 million. Our Analyst team continues to like Amadeus, which has an attractive exposure to a good thematic (rising air travel globally) and has a strong market position. Telepizza shares gained 1.9% in Spain. Amadeus and Telepizza are all held in the European managed account portfolios. Asian stocks were mixed in trading Thursday as investors waited upon Federal Reserve Chair Jerome Powell’s second testimony in front of congress for some more insight on where the Fed stands on interest rates and inflation. The benchmark Nikkei slid 1.56% as the yen stayed relatively strong against the US dollar following soft economic data out of the US the night before. Exporters felt the pressure and are a heavy weight in the index. The likes of Panasonic, Canon, Toyota and Sony fell between 2-3% on the day. Robotics leaders also fell in trading, as they export much of their product line. Fanuc dipped 1.1% and Yaskawa Electric was down 1.8%. Sony and Fanuc are held in the Global Contrarian Fund, while Yaskawa is in the Asian managed account portfolios. Elsewhere in the region, the Shanghai composite edged up 0.44% as data showed the manufacturing sector grew at modestly faster pace in February. The PMI edged up from 51.5 in January to 51.6 in February, driven by an increase in total new work undertaken at a slightly faster pace. Hong Kong stocks followed the lead from China, with the benchmark Hang Seng rising 0.62%. The Macau casino operators were mixed in trading, with Sands China the laggard, down 1.6%, while Wynn Macau closed just 0.2% lower and MGM China advanced 2.0%. Most of the news out Macau has been positive lately and I believe there is much further for this theme to run. MGM recently more than doubled its footprint in Macau with the opening of a multi-billion dollar casino on the thriving Cotai Strip. 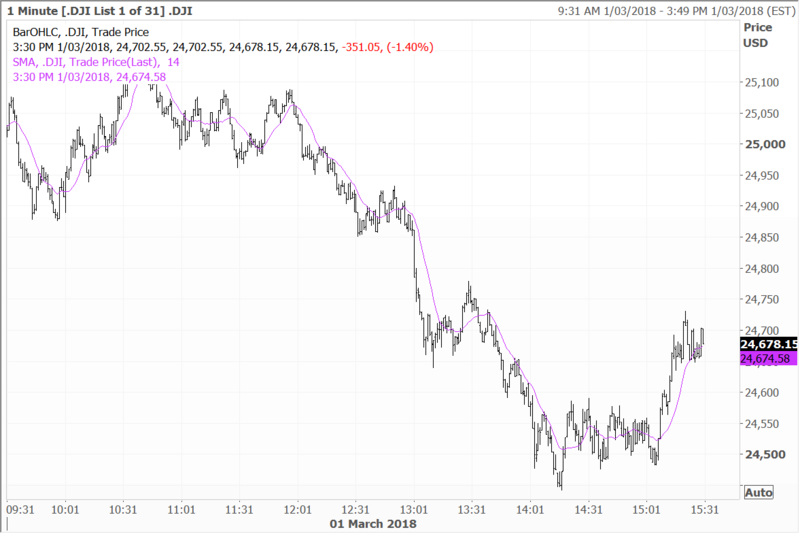 In Australia, the market weakened on Thursday with the ASX200 closing 42 points lower at 5,973. Further consolidation below the 6000 mark looks inevitable today following weakness on Wall Street, and Trump’s announcements on the tariffs. The SPI futures are pointing towards a 65-point fall on the open. Some of the financial service platform stocks have been selling off of late, and Praemium was 2% lower yesterday. The stock though has endured a strong run in the past six months, and recent price action is no indication in my view of a compelling longer-term investment thematic. The company is strongly placed in Australia, with a market leading position in SMAs, while the UK business has made some strong strategic moves and is on the cusp of profitability. Praemium offers strong operating leverage to continued growth in FUA, and it is also natural that such stocks will see some selling when markets become more volatile, as they did in February. Disclosure: The Fat Prophets Global Contrarian Fund declares a holding in: Telepizza, Sony, Fanuc, Sands China, MGM China, Wynn Macau and Praemium.